What is the point of creating artificial humans? Last night I was watching a show called _Extant_, only because Halley Berry is starring in a television series. She has a child that is artificial, hence, robot created as human. It took me back to a movie that I totally adored called _AI Artificial Intelligence_ by Stephen Spielberg. It was such an emotional movie. What I came away from that movie was how could anyone be so insecure or co dependent that they would have to create a fake child to make up for the loss of their own, as painful as it is? Does this mean in the future humanity has become so fragile that they cannot endure pain of loss? I mean, no one wants to lose a child, that is a given. But since the beginning of time losing loved ones is a natural occurrence and it is a part of growth. We live, we die, and the earth moves on. When I was a child, I loved watching _Lost in Space_. A television show about a family that crashed on a planet and had to survive. 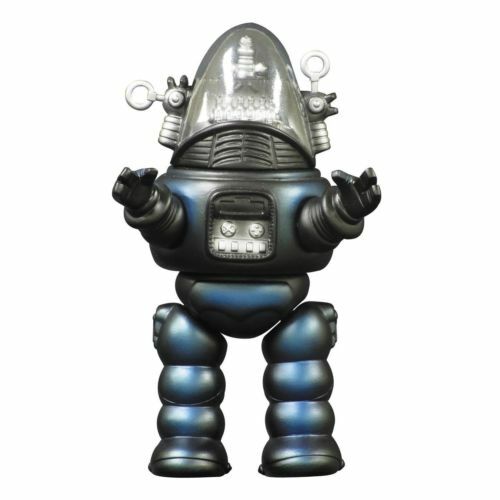 They had a robot named Robby the Robot. Now this robot was a computer, made of steel, with head, arms, and legs, but clearly a computer. It was fun, and to be honest, I have a toy Robby the Robot. Robby was a computer, loaded with information and was very helpful, loaded with information, and had somewhat of a humorous personality, but even as a child, it was clearly nowhere near human. I will throw in here the fact that I totally understand robotic limbs for humans, robots for dismantling explosives, etc. I get that. For decades there has been movies made about the threat of creating robots that eventually take over the world, the most famous being without a doubt _Terminator_. So what is so attractive about creating a human like robot, to take the place of a human? Entertaining, yes. But in this day and age, there are human like robots to serve food, answer questions at information desks, housework, those being the only ones on the top of my mind, to take the place of human workers? Why are humans so determined to create themselves out of existence at a time when there are millions desperate to work? Maybe, and I am only pondering, because a robot has no mood swings, so why not put them in informational positions so not to offend anyone due to attitude? Maybe, as time goes by, and I might be partially guilty, trust in fellow humans become less and less no matter how many inspirational _friendship_ quotes you have on Facebook. You have people that are becoming more and more desperate to be something more than they are capable of due to media purging extravagance every single day, so it leads to people feeling that domestic work is a very bad thing, therefore one that works in that field has resentment, hence, sloppy work, or even theft. Or, the people that want so much they are willing to work more to get more, so they have no time to take care and clean what they have worked for. Well, we know that is for sure, I have been there. This topic can go on forever, and would definitely be a great controversial debate among *friends*. But the way I see it, needing the company of an artificial human instead of a living breathing human, or even pet, just seems cold, and quite frankly,.........inhuman.